(4) September 26, 1950 Sukkot blood red moon. (1)April 24, 1967 Passover blood red moon (2)October 18, 1967 Sukkot blood red moon (3)April 13, 1968 Passover blood red moon (4)October 6, 1968 Sukkot blood red moon. Major War for Israel in 2013? Or before October 8, 2014 following the Six Day War pattern. (3)April 4, 2015 Passover blood red moon (4)September 28, 2015 Sukkot blood red moon. What does the four red moons tell us? Israel should prepare for war. This war the Arabs will use chemical weapons so Israelis should buy gas masks for all their people before this war starts. God used the sun to help Joshua crush his enemies. (Joshua 10:12-14) Today, God uses the four moons to warn his people that a major war is coming. Assad's home province where the Alawites live is now being attacked by Sunni Jihadist. This province was suppose to be where Assad would escape from Damascus should Damascus be surrounded by Sunni Arab Jihadist. It sure looks like the four red moon prophecy will be highly accurate. One red moon will pass in April 2014 Passover before this major war just like in 1967 when one red moon passed at Passover then the Six Day War broke out. Will Kerry Bring Peace in the Middle-East? Secretary of State John Kerry announced it would be 9 months and peace would be finalized. August, September, October, November, December, January, February, March and April! NOTE: April 2014 is PASSOVER! A blood red moon will occur in April. Blood red moon means a major war is coming to the Middle-East, and if the Jihadist are stupid enough to attack Israel they will forfeit their lives. Psalms 83:6-8 tribes formulating against Israel. (1)Edomites-Palestinians in Jordan,(2)Moabites-Palestinians of Jordan,(3)Hagarenes by the Dead Sea,(4)Gebal-Hezbollah from southern Lebanon (5)Amalekites-Al Qaeda in Sinai,(6)the Philistine Hamas, (7)Tyre-Sunni of northern Lebanon, (8)Assur-Ancient Assyria northern Iraq Al-Qaeda (9) and the children of Lot-desert bedoiun & (10) Ammon Hashemites whose king recently said Israel will not Judanize Jerusalem. All will come against Israel late this year or before Sukkot next year after one blood red moon passes. Reason: for their physical safety and politically Russia does not want to get entangled in this war. (3)Damascus will be destroyed. (Isaiah 17:1) and then the Sunni Jihadists. (Psalms 83:6-8) tribes and nations. (7)Israel will burn its enemies weapons for 7 years (Ezekiel 39:9) during the 7 year tribulation. (9)Escape tribulation by believing in Jesus Christ now (1 Thessalonians 4:16-17) before Gog's War starts. (10)It either worshiping Jesus Christ and receive eternal life or worship the anti-Christ and receive eternal damnation during the tribulation. According to the Four Blood Red Moons Israel will face a war for survival in 2013 followed by these four blood red moons. (4)Israel will then live safely reaping billions in exports of natural gas. (Ezekiel 38:11) & Ezekiel 38:13) Gog Russia will attack Israel along with Iran and Iran's non-Arab allies in 2017 when Israel has acquired great wealth. Why 2017? (5)1917-2017 marks 100 years of communist tyranny. God's name will be magnified (Ezekiel 38:23) upon Gog's destruction. God's name will be magnified when the Israelis build their 3rd temple in 2017. Wasn't Abraham's life magnified at age 100 when Isaac was born, and down the line Israel was created giving the United States the 10 commandments; whereas America offered the world freedom while communism only enslaved the masses - leading them into poverty to be ruled by the few elite? (6)By January 20, 2017 the Marxist president Obama may be out of office after bringing down the American capitalistic system since U.S. politicians won't impeach him now, but his communist buddies won't be a threat any longer. (10)Have you thought about you and your family, their eternal destiny lately? Your observation about the number 67 is interesting. 1967 (19-67)is when Israeli troops secured Jerusalem and Abraham was 67 years old when he received the promise from God that he would become the father of a great nation the same year his older brother Haran had died at age 127. Abraham was born when Terah was age 130. (Genesis 12:4 & Genesis 11:32. Abraham was born in 1992 B.C. Haran dies in 1925 B.C. some 430 years before the Exodus in 1495 B.C. Haran's death in 1925 B.C. means Abraham was 67 years old when he left UR and arrived in the city of Haran then 8 years later Terah died when Abraham was 75 years old and began his journey to Canaan then Egypt. 1948 + 67 = 2015 something very prophetic will happen. Paul your theory is interesting about Iran wanting to attack the United States. Then you mentioned the 19th year in Nebuchadnezzer's reign when Solomon's temple was destroyed. I thought about 1948 when Israel was reborn and 19 years later, the Israelis capture Jerusalem. Then and Now: Iran vs Babylon, Iran vs US? Could the coming eclipses possibly tell us that Iran will attack the US - where almost half of all Jews live - sparking a return of these Jews to the Land? During the dress rehearsal for the Day of the Lord, what is called the "captivity of Jerusalem" began with the start of the siege of Jerusalem in 605 BC. 19 years later the "desolation of Jerusalem" began with the destruction of the city and the temple in 586 BC. You see different dates for these events - some say 606 and 587 BC, the reason is beyond my knowledge. But if you move forward 48 years you come to 538/39 BC - the time Iran struck Babylon. 3 years later, Cyrus allowed the Jews to return. In our time, a tetrad in 1949/50 marking Israel's return, a tetrad in 67/68 for the recapture of Jerusalem. 48 years later - in 2014/2015 - could we see Iran again attack the center of gentile power where much of the Jews live, i.e. the US? Three years later would be 2018, Israel's 70th birthday. Just a wild thought, but it seems more likely Iran's nuke is for the US, not Israel. They want to occupy Israel, and you don't usually nuke land you want to take. Syrian president Assad is acquiring S-300 missiles from the Russians. Israel PM Benjamin Netanyahu states he will destroy those missiles. He has warned Russian president Putin not to send Assad those weapons. Benjamin Netanyahu means business. Syria was already attacked by Israel three times this year for trying to deliver chemical weapons to Hezbollah. The Israeli Syrian war could break out anytime before Passover 2014 fulfilling the Four Red Moon prophecy. Isaiah 17:1-14 could happen within that time frame. The Jihadist people's mentioned by tribes in Psalms 83 will probably attack Israel after Damascus is destroyed. The people in Damascus and Ephraim should believe God's word and move out of those areas to save their lives. Interestingly enough, too, is that since 2000 BC up until now, only 1 century has seen 8 tetrads, and that was the 16th century BC. Only 1 century is predicted to receive that many in the future, and that century is 2000-2100 AD!! Or, this century. Also, between the 16th-15th centuries BC the earth experienced 14 tetrads of Red Moons. Only two other consecutive centuries have seen that many. The years spanning 999 - 800 BC witnessed 14 tetrads of Red Moons. Ironically, this is the time frame of Samuel, Saul, David, Solomon and the division of Israel into two different countries after Solomon's death! Very interesting stuff. Especially considering the fact that we are living in the century to receive more Tetrads of Total Lunar Eclipses since the birth of Moses! The years 2014 and 2015 are predicted to receive four consecutive Lunar Eclipses. The current state of affairs in the Middle East, and worldwide, are leading to a boiling point. This boiling point will witness a deliverance of Israel not seen, perhaps, since the very time of Moses and the Exodus out of Egypt! This topic is very interesting and caught my attention again recently. I want to run this by readers and get opinions as to it. Two lines of thought exist about when Moses lived and the Exodus occurred. One theory allows for the time period of the Judges being around three hundred years, and one allows for a very short, and unlikely, time frame for the Judges. The theory which arguably most fits in with the Biblical timeline places the birth of Moses and the Exodus occurring sometime in the 16th (1599-1500) century BC and the 15th (1499-1400) century BC. The other theory places Moses' birth and Exodus in the 14th (1399-1300) century BC and 13th (1299-1200) century BC. Keep in mind that Moses was 80 years old when he confronted Pharaoh, thus it is likely whichever theory one believes Moses spanned both centuries. Now, this link is to NASA's website regarding all Lunar Eclipses over the last 5 millennium. During the 16th century BC (1599-1500 BC) there were 8 occurrences of Tetrads (pattern of 4) of Total Lunar Eclipses, which is what produces the Red Moon. During the 15th century BC there were 6 occurrences of Tetrads of Red Moons. For this two hundred year span, thus, there were a total of 14 tetrads of Red Moons. Compare this with only 2 tetrads of Total Eclipses in the 14th century, and NONE in the 13th century BC. The point is the time of Moses and the Exodus was surely a time when God manifested Himself in a way rarely seen. The Red Moons, according to the line of thought on this thread, would have likely appeared around the time of Moses and the Exodus. With this in mind, which century do you think Moses was born in, and which century did the Exodus occur? The signs in the sky clearly point to the theory of the 16th and 15th centuries BC, which "coincidentally" fits in more precisely with the Biblical Timeline than the other theory, which is oftentimes used to discredit portions of the Exodus and the Book of Judges! So I zeroed in on the 15th and 14th centuries. On three separate occasions a Tetrad of Red Moons appeared within a time span of 85 years apart!! The closest being in 1556-1555 BC, a tetrad of Red Moons occurred. 83 years later, in 1473-1472 another Tetrad of Red Moons appeared! Meaning = Moses was born around 1556 BC, and the Exodus occurred around 1473 BC! Obviously this cannot be proven, but these time frames fit perfectly within the scope of the Biblical timeline. Other calculations have been made based on I Kings 6. One theory had Moses and the Israelites arriving in the Sinai around 1445 BC. According to NASA, a tetrad of Total Lunar Eclipses occurred in 1444-1443 BC! Judge for yourself the possible meaning behind this, but I think its clear that God speaks through the heavens! Crazy correlations. Precise dates may be difficult, but the incredible amount of activity during these two hundred years is amazing. PM Benjamin Netanyahu in the Jerusalem Post just last week remarked that Israel was prepared to take out Syrian president Assad's chemical weapons sites. The United States is sending soldiers to Jordan now to stop Assad's war from expanding into Jordan; and some 18,000 United States troops will be used to secure the Syrian chemical weapon sites so the Jihadist won't acquire chemical weapons. The Russians have warned the western nations to stay out of Syria. We have all these reports, and reports from Syrian president Assad himself, stating the war will expand beyond Syria's borders. This indicates that the appearance of the coming four blood red moons is a warning this war in Syria will expand in the Middle-East. The Jewish prophet in Isaiah 17:1 mentions in this war Damascus will become a ruinous heap. The suburbs around Damascus are already being destroyed. It won't be long until this prophecy is fulfilled. Middle-East Wars Before the Blood Red Moon Trail? The Moslem Sunni cleric calling for the men of Damascus to join Assad's army was killed in a bomb blast at a mosque in Damascus just the other day. The war is closing in on Assad. 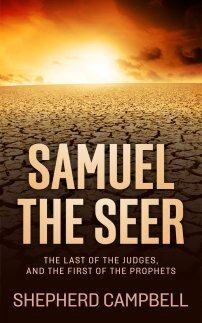 Will he survive before the second blood red moon appears on October 8, 2014 on Sukkot? Its likely the Israelis will be fighting the Sunni Arabs in the Psalms 83 prophecy by then, for these Arabs claim once after Assad falls from power they will attack Israel. A Moslem cleric calls for the men of Damascus to join Assad's army. Many of Assad's soldiers are restricted to their barracks for their commanders fear defections. The Sunnis in Assad's army can not be trusted. It seems with each passing day Assad is likely to fall from power in 2013 A.D. before the arrival of the four blood red moons. Israel must do something about Iran's nuclear sites. PM Benjamin Netanyahu stated Israel will have to do something about those sites this year. Israel's rebirth on May 14, 1948 and four blood red moons followed. Israel conquered Jerusalem in 1967. One blood red moon occurred a few months before the 1967 war and three blood red moons occurred after. Now we are at 2013 A.D. and four blood red moons will follow. Interesting a comet will appear in the night sky, right before the election of a new pope, right before Easter. When the Jews return to Zion a comet shall streak the sky, the signs in the heavens mark the end of you and I. Armies shall gather from shore to shore. Man shall kill his brother and man shall be no more. Damascus Syria shall be destroyed. (Isaiah 17:1) Iran's nuclear plants will be destroyed. The Sunni Arabs will arise up against Israel. (Psalms 83) The Sunni Arabs armies will be crushed leaving Shiite Iran as the most powerful Shiite nation in the Middle-East. The English speaking nations then will do nothing when Iran and Russian forces attack Israel and God has their forces turn their weapons upon each other. (Ezekiel 38:21-23) As God's name is magnified the anti-Christ then arises offering the world a false peace. 1492 A.D. The Jews were expelled from Spain. 1493-1494 A.D. Four Blood Red Moons followed. Jewish survival. 1948 A.D. Israel is reborn. 1949-1950 A.D. Four Blood Red Moons followed. Jewish survival. 1967 A.D. Israel attacked again by its Arab neighbors. One Blood Red Moon passed before the war and three Blood Red Moons followed. Jewish survival. 2013 A.D. Jewish survival in another war? Or will One Red Moon pass in April 2014 and war before the second red moon in October? Jewish survival. Does God send us messages in the night skies? Christians defeated the last Moslem army in Spain in 1492. Four Blood Red Moons follow. Israel attacked by Moslem nations in 1948 and the Moslems are defeated in 1949. Four Blood Red Moons follow. Israel attacked by her Moslem neighbors in June 1967. One Blood Red Moon before the war and three Blood Red Moons follow the Moslem defeat. Israel defeats what Moslem armies in 2013 A.D. Four Blood Red Moons follow OR One Blood Red Moon in April 2014 before Israel fights a major war against the Moslems and three Blood Red Moons follow. It seems like GOD is trying to tell us something in the signs in the sky. Also the Moslem world should quit making war against Christian Western Civilization and the Jewish nation. Four Red Moons -Do they mean future Middle-East War? The Psalms 83 prophecy will only take place when the Moslem Brotherhood has control over Egypt, Syria and Jordan. This is when the Sunni Arabs will strike out against Israel. Do you actually believe Jordan's government will fall in 2013 or 2014 A.D.? The Four Blood Moon scenario may just pass this time with nothing happening. We will just have to watch what happens in the Middle-East. The Sunni Arabs cannot take over Syria until Assad is out of power; and when will that happen? The signs of Bible prophecy coming to fulfillment are all around us. Our eternal destiny awaits us. The laughter in the background is Satan who wants to destroy us. We just had a meteorite crash down into Russia. God's warning from heaven the anti-Christ will soon arrive. The messages always come from the skies. Three wisemen followed a star to find baby Jesus. Signs from heaven tell us something important is about to happen. The sun shall be turned into darkness and the moon into blood before the great and terrible day of the Lord come. (Joel 2:31 & Revelation 6:12) The event occurs at the very beginning of tribulation. Jesus even comes in the clouds to save those who want to believe (1 Thessalonians 4:16-17) before the terrible day of the Lord comes and the anti-Christ rises. During the tribulation a star called Wormwood falls to the earth making the water bitter where many men die. (Revelation 8:11-12) The third part of the sun and moon are then darkened. Another star then falls from heaven. (Revelation 9:1-10) The bottomless pit opens and scorpions strike men who do not have the seal of God on their foreheads. Then an angel comes down from heaven clothed with a cloud and a rainbow was upon his head and his face was like the sun. (Revelation 10:1-4) He opened a book and roared like a lion and when he cried out seven thunders uttered their voices. Don't forget the two witnesses (Revelation 11:3-11) who have the power to shut up the heavens and stop rain in the days of their prophecy and they will be killed for their testimony. They shall be raised in 3.5 days and ascend to heaven in a cloud. We have seen a meteorite strike Russia recently and other strange events in the sky. THE FOUR BLOOD RED MOONS ARE COMING IN 2014-2015. Moslems have the moon on their national flags. The Islamists will be causing Israel trouble in the Middle-East as God is warning us. Jesus Christ will return to the earth after 7 years pass and fight the nations attacking Israel at Jerusalem. (Zechariah 14:2-9) Then he becomes the Lord over the whole world. Assad is getting desperate as Hezbullah and Iranian soldiers are called in to supplement his army. Assad's days our truly numbered. Will Assad fall from power in 2013 or 2014 A.D. is the mystery. (1)1492 A.D. Spanish Inquisition where Jews were told to convert or leave Spain. Four blood red moons follow = Jewish Survival. An Italian Jew Christopher Columbus discovered America, a new safe home for the Jewish people. (2)May 14, 1948 Israel reborn. War. Israel survival. Four blood red moons follow. (3)June Six Day War. Israel survival. 1 Blood red moon before the war followed by 3 more blood red moons. (4)The year 2013. Is this another year for Israel's survival, or will 1 Blood red moon pass in April 2014 then a war for survival will occur before the second red moon in October 2014? The Jews were expelled from Spain in 1492 A.D.
(3) March 22, 1494 Passover blood red moon (4)September 15, 1494 Sukkot blood red moon. Another major Middle-East war where the Sunni Arabs attack Israel is quite possible in the next 17 months. Shite Iranian president Ahmadinejad would like the Sunni Arabs to go to war against Israel for when Israel crushes their armies, Ahmadinejad becomes the supreme ruler over the Moslems in the Middle-East even though he will have lost Shite president Assad of Syria, who would most likely fire his missiles at Israel when he feels like his end is coming. Red four moons creates an interesting timetable as bible prophecy continues to be fulfilled.